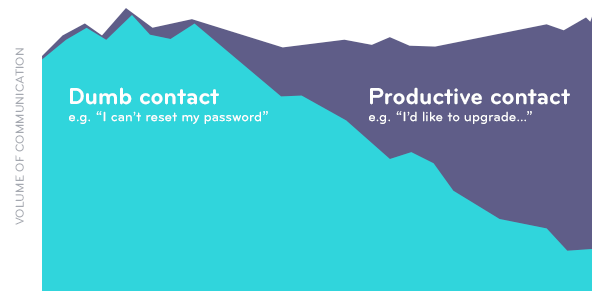 Conversations with customers are valuable, but they have to be the right type of conversations – not merely questions about forgotten passwords and the like. They have to add value, for you, and them. 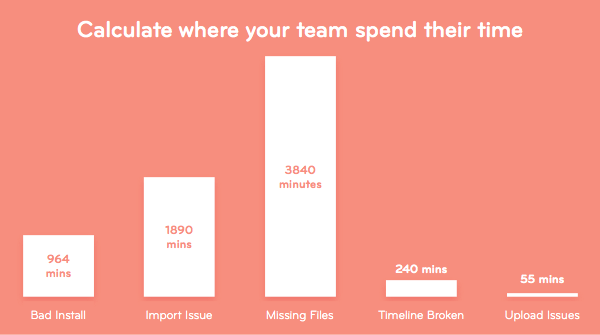 In Intercom, we encourage businesses to talk to their customers. It’s how you grow a business; it’s how you keep customers happy, loyal, and evangelical about your product. But talking to your customers isn’t about blindly spitting out messages to everyone, or counting every customer contact as a ‘good thing’. Not all customers – nor all contacts – are of equal importance. Get this wrong, and you’ll drown your team in a wave of valueless communications. Let’s talk about Internet Scale. If you have 1,000,000 monthly active users, and 0.1% contact you each day, you have 1,000 contacts to deal with every day. 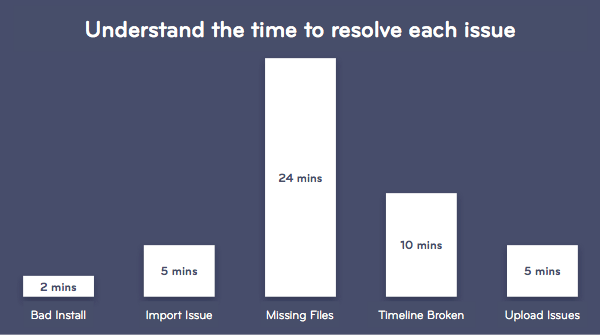 If each issue takes 10 minutes to solve, that’s 7 full days worth of work generated every day. If your team works in 8 hour shifts, you need a team of 20 staff just to keep up, which means even on modest salaries you’re dropping a few grand a day. You can see how this becomes a problem, right? Most web companies are on the defensive. They fight to beat down their support channels. It’s like a game of Whac-A-Mole, except your mallet doesn’t work. So the idea that you should talk to customers more is often met with derision by lots of businesses. “But what if they talk back?” is the common reply. To reduce your volume, you have to reduce your dumb contacts. Every customer communication is either irritating, or valuable, for your company and your customer alike. Dumb contacts are the ones that are irritating for both. 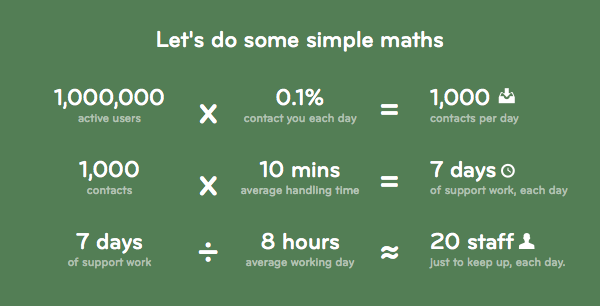 The next step is simple, quantify each type of dumb contact and how long it takes to resolve. 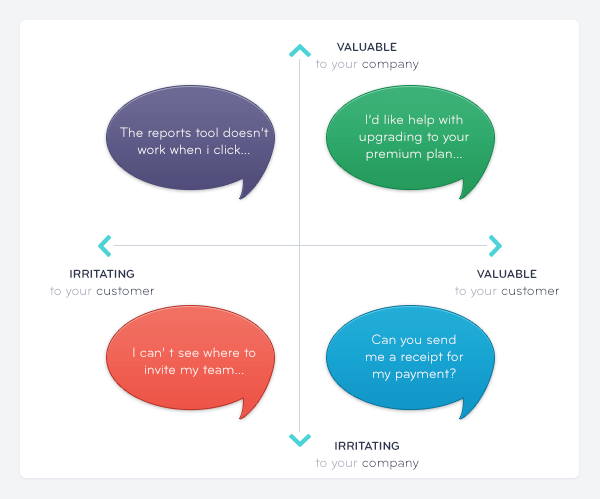 This lets you prioritise your customer service conversations. The knee-jerk reaction here is to solve the most frequently occurring issues first. This is often the best way to tackle your volume initially, as it gets rid of the low-hanging fruit. You can’t stop there though. 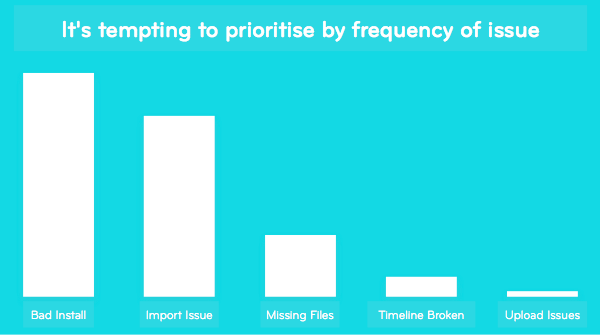 You need to understand which issues take most time. This is usually called average handle time, AHT for short. Combining the volume with AHT gives you a sense of where the biggest opportunity is. Every category then needs to be thoroughly understood so it can be tackled appropriately. Solving the problem can involve redesign, better copy, faster performances, more robust error handling, broader file support, or plain old bug fixing. As dumb contacts decrease, you have bought yourself capacity to have meaningful interactions with your customers. 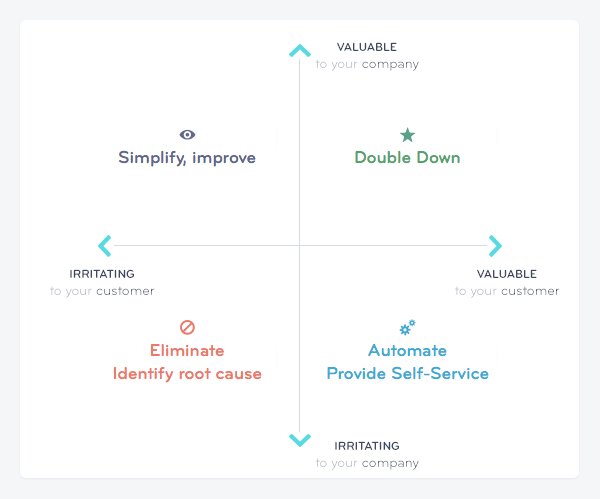 Ones where you help them get the most from your product, and ones where you learn lots about how it is used, and how it could be improved. These are the communications that grow loyalty and create evangelists. Go ahead, start talking to your customers. If you don’t, your competitor will.